The pain associated with an earache is fairly common and whether it is located in the outer or middle ear, it can be extremely painful. Luckily, most of the time an earache does not indicate a medical emergency. This means that if you feel ear infection symptoms approaching, you might be able to use ear infection remedies available at home to reduce pain. In cases when the remedies aren’t successful, you experience severe pain, or the ear infection is in a child who is very young, see a doctor immediately. Before trying an ear infection home remedy, you need to ensure it is truly an ear infection. Typically, earaches from colds will be burning, dull, or sharp pain and be accompanied by other cold symptoms, such as a fever or trouble sleeping. Ear infections, on the other hand, tend to appear suddenly and start off extremely painfully. The pain might decrease when the eardrum stretches slightly. If you have an ear infection, you will probably have some of the following symptoms: difficulty hearing, ear drainage, vertigo, fever, poor sleep, irritability, loss of appetite, or otitis media including effusion. Once you are sure you have an ear infection, you can start to look at home remedies for ear infections. Out of these infections, those affecting the inner ear can be the most serious, so you should always treat the infection to prevent rupturing or damaging the ear drum. If you leave the infection untreated, it may occur again in the future or lead to deafness, so keep these home remedies for ear infections in mind. Applying heat via a heating pad or warm compress can help to relieve both pain and inflammation. As a bonus, the heat will also help free up liquids caught behind your earwax, which in turn helps them drain. Don’t place anything inside the ear canal (including oil and vinegar) if there is drainage from the ear. This drainage can indicate a rupture in the eardrum and any substance could worsen this infection. When using warmed oil, wait until it cools slightly. Always visit your doctor if fever or other symptoms accompany the ear infection. 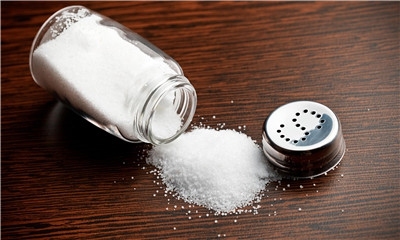 Salt tends to be the home remedy everyone has on hand and the instructions can actually be replaced with rice. Start by heating a cup salt (in the double boiler, pan, or microwave) for three or five minutes. Put this hot salt inside a sock or thick cloth, sealing it up. When it reaches a bearable temperature, lay down and place the sock on your affected ear for between five and ten minutes. Do this as many times as you need to each day as the heat will draw out fluid while relieving pain and swelling. Apple cider vinegar works to eliminate the fungus behind the ear infection. 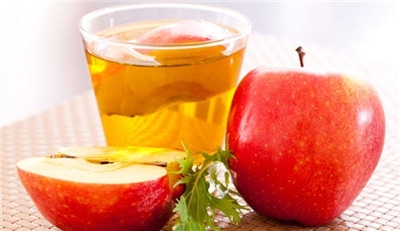 Mix together equal amounts of apple cider vinegar and alcohol or water. Take a cotton ball and soak it before placing it in your ear (similar to a plug) for five minutes. Take out the cotton ball and lay down so the liquid drains from the ear. A hairdryer will ensure your ear is dry. White vinegar will also work. 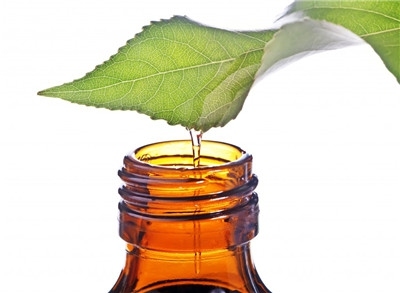 Tea tree oil sometimes gives instant relief due to its mild antibacterial properties. Mix together two tablespoons olive oil, a teaspoon apple cider vinegar, a teaspoon colloidal silver, and three drops tea tree oil, warming it up slightly. Lay down sideways, placing your head on top of a towel. Use a dropper to fill up your ear with this warm mixture before letting it sit five minutes. Roll over so it completely drains out of your ear and repeat two or three times daily. 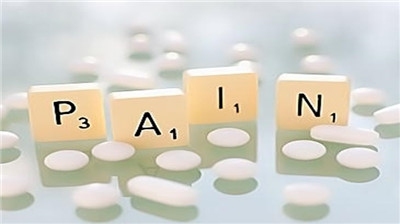 Sometimes your doctor will suggest over-the-counter ibuprofen or acetaminophen for pain relief. Always use this as directed and avoid giving aspirin to children or teens without your doctor’s recommendation. Never give it to a child under two or one recovering from flu-like symptoms or chicken pox. Note: Doctors are getting more cautious about prescribing antibiotics as bacteria learn to resist them. Antibiotics worsen bacterial resistance and kill good bacteria, which can lead to inflammatory bowel disease. It is also possible that an ear infection is due to a virus instead of bacteria, making antibiotics ineffective. Because of its natural pain relieving abilities and antimicrobial properties, garlic is one of the very effective home remedies for ear infections. You can make some garlic oil by placing two cloves of garlic in two tablespoons mustard or sesame oil until it becomes blackish. Strain the solution and when it is bearable, place two or four drops in your ear. You can also try boiling a few fresh cloves in some water for around five minutes before crushing them and adding salt. Wrap a clean cloth around the mixture and apply it to your ear. 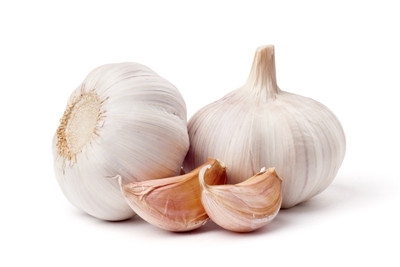 Even eating two or three raw cloves of garlic a day can make you heal faster. Ear drops can help with earache pain, but you should not ever use this method without your doctor suggesting it. Getting plenty of rest will let your body gain strength to fight the infection, so try to relax. Most of the time, ear infections will improve within a few days, completely clearing up within one or two weeks without treatment. Because of this, experts suggest a wait-and-see approach if your child is between 6 and 23 months and has mild inner ear pain (affecting one ear) for under 2 days without a fever above 102.2 Fahrenheit or your child is 24 months or more and has mild inner ear pain (affecting one or both of their ears) for under 2 days below 102.2 Fahrenheit. You should see a doctor if you have tried home remedies for ear infections and it persists over three days or if your child under 2 years old develops an earache. The doctor will prescribe pain-relieving ear drops or antibiotics. Sometimes surgery is necessary in children with frequent ear infections.